Interpol frontman Paul Banks has left behind his Julian Plenti persona to release his second solo record, Banks, under his own name. This second venture finds him pushing into edgier territory with somewhat mixed results. Where Banks excels is when the musician augments his indie roots. The digital drumbeat and spooky backing vocals on “Arise, Awake” just make the song all the more memorable, and “I’ll Sue You” swells and calms at such a frenetic pace that it became an instant favorite of mine. The guitar and bass work on “Summertime Is Coming” stands up against some of Interpol’s finest work, and the sprawling instrumental, “Lisbon,” is an exciting track with shades of Mogwai. The missteps come when Banks pushes himself too far into electronic territory. “The Base” would be a perfectly enjoyable song with its melodic intro and Banks’ haunting monotone, but two and a half minutes in, an explosion of noise creates an unfortunate ‘80s feel. Similarly, the music for “Another Chance” is faultless, but the pieces of dialogue thrown in are haphazard and forgettable when compared to Banks’ own voice. “Another Chance” would be better used on a DJ Shadow album than Banks. 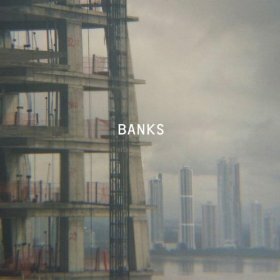 Overall, Banks is a fine album. I would prefer it not to have the jarring departures that take away from Banks’ talent as a vocalist, writer, and guitarist. With any luck, any further solo ventures will show this skilled musician figuring out what works together and what doesn’t. I have hope and will continue following his work with Interpol and as a solo artist.